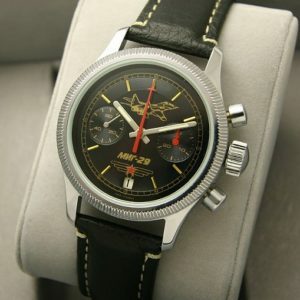 An extremely rare Russian Shturmanskie military pilots chronograph watch made in USSR by Poljot watch factory in 1990. 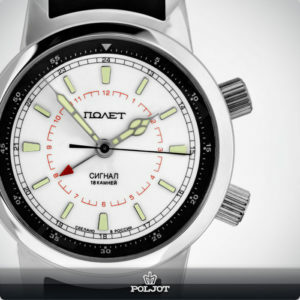 This was the official watch given to Soviet pilots (Poljot means Flight in Russian). 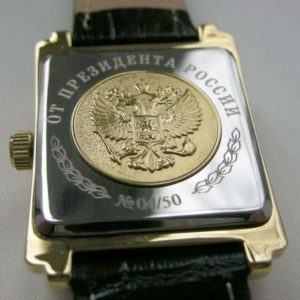 The wristwatch is in very good condition. 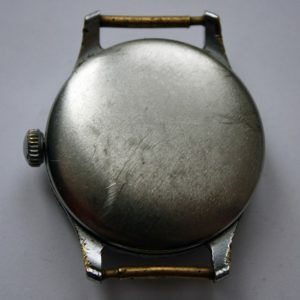 It is a mechanical wind-up watch (Poljot 3133 caliber, 23 Ruby jewels) and is working very well and keeps excellent time, all its functions are working perfectly. 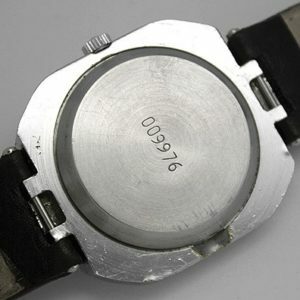 The 3133 movement is an extensively modified version of the Valjoux 7734. The case is stainless steel. 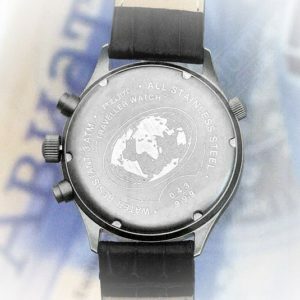 Size: 38 x 38 mm, height 14 mm, mineral glass, screwed caseback. 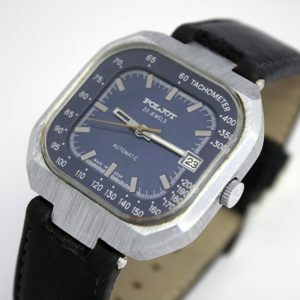 The watch comes with English user's manual and new leather strap. 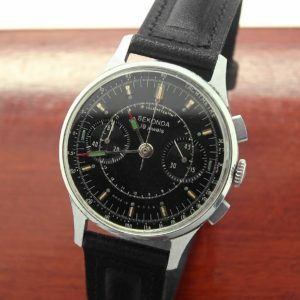 Overall a classic watch in superb condition. The watch looks much better in reality than in the pictures. Buyer will not be disappointed! The top right button starts the stop watch function, press it again to stop it, then press the bottom right button to set the hand back to zero. The middle button on the right is the winder and also adjusts the hands. 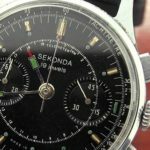 The button on the left turns the inner rotating bezel.